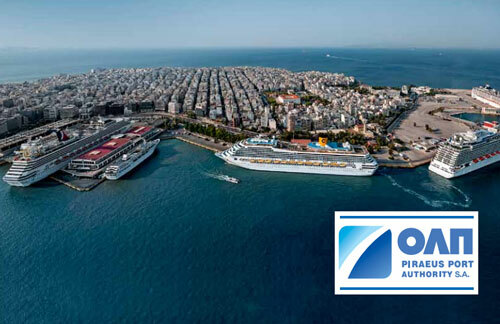 Cruise ships berth in the Port of Piraeus situated on the southern side of Piraeus. The port sits on the Saronic Gulf, on the Aegean Sea. The port is an important ferry port, for the many Greek Islands. Greece is composed of a multitude of islands, so ferries are vital and ferries arrive at and leave from Piraeus round the clock. The cruise ship berths are located on the southern side of the harbor. Cruiseliners moor at either Cruise Terminal A or Cruise Terminal B. Cruise Terminal A (Akti Miaouli) Accessed by gate E11, is located in mid-harbour sandwiched by the Mioulis and Xaveris docks. Cruise Terminal B (Themistocles) Approached by gate E12, lies at the entrance of the harbour, inside the Termistokleous pier. Port Authority Piraeus Port Authority S.A. There are 2 cruise ports in Vancouver. Canada Place, near the center of the city, and Ballantyne, a mile east of the city center. To make things easier at Alaskan ports, a US Customs desk clears passengers prior to embarkation in Vancouver. As an alternative US passengers transferring from the airport can follow the US Direct Program, allowing for fast clearance through customs. Canada Place is located on the site of CPR pier B/C, which allowed for speedy transfer of grain from railway wagons to waiting cargo ships. The terminal is within the original Canada Pavilion from the 1986 World Exposition, with its a characteristic 5 sail roof, symbolizing the region’s rich maritime history. Also sharing the complex are a World Trade Center office, the Vancouver Convention Centre, a Pan-Pacific five-star hotel and Port Metro Vancouver corporate offices. Available facilites include luggage trolleys, restrooms, security, customs and cab and bus ranks. The terminal has 3 cruise ship berths. Ballantyne cruise terminal was expanded and renovated in 1995, and today gives efficient passenger processing. On account of its history as a trade port, the terminal surroundings have a commerical docks flavor. Services on offer include taxi ranks, baggage carts, food and drink concessions, restrooms, security and customs. The cruise port has only one major berth East (366m). Occasionally the West berth is employed. Seattle has two cruise ship ports, the more popular city center Bell Street Terminal, and the Smith Cove Piers, 3 miles north of downtown. Cruise Terminals of America, who lease the properties from the Port of Seattle, run both cruise ship terminals. The Bell Street Pier cruise port was opened in 2000 as part of an 11-acre, downtown, waterfront, multi-purpose development. It sits on Pier 66 which has a historic past dating back to 1914. Over the 20th century the dock had many uses including warehousing, cold storage and on-dock railway terminus. The terminal has 2 levels, with a modern bridge platform providing easy ship access from the 2nd level. Facilities at the terminal include rental car kiosk, shops, check-in, luggage handling, restaurant, café, concierge and customs. At the junction of Wall Street and Alaskan Way, just by the cruise port, there is a convenient car parking garage. The terminal has just one cruise ship mooring. The Bell Street Pier hosts Norwegian Cruise Line and Celebrity Cruises. The Smith Cove cruise terminal is located 2 miles north from downtown, on Piers 90 and 91. The waterside property was purchased by Seattle Port in 1912 for use as a industrial port. During WWI the navy managed the port as a supply point. Because of its history, the terminal has a industrial vibe. Amenities include customs, luggage handling, shops, check-in, car rental kiosk and concierge service. A 1,000 car parking lot is located near by with a complimentary shuttle minibus to the terminal. The cruise port offers 2 cruise ship berths at Piers 90 and 91. Smith Cove hosts Princess Cruises, Carnival, Holland America Line and RCL. Description Palma’s port’s main cruise terminals are the numbers 1 to 4 which access ships moored at the Poniente and Paraires quays. The Poniente pier is undergoing lengthening in 2012. Services include office, restrooms, cafeteria, customs, telephone kiosks, post office and police station. The Poniente quay is about a mile and a half to the southwest of the city center. Overflow vessels sometimes dock at the west sea wall, and are served by cruise terminal number 5. Description Venice Cruise Terminal contains three main areas: the Marittima basin, which can berth the biggest ships that visit Venice, and the smaller Santa Marta and San Basilio quays, just around the corner from the Marittima in the Fusina Canal. Marittima is the largest of the ship docks at the Port of Venice's Venezia Terminal Passeggeri, with four terminal buildings and enough docking space to handle several large ships simultaneously. The basin is made up of the Isonzo Quay with Isonzo 1 and Isonzo 2 terminals, the Tagliamento Quay with the 107/108 terminal, and the TM Quay with the 117 terminal. Santa Marta/San Basilio is the long wharf than runs to the Fondamenta Zàttere, the promenade beside the southern bank of the Giudecca Canal. Each terminal services a single quay. Description New York City has two cruise ports, the Mathattan Cruise Terminal beside the Hudson River on the west side of Manhattan Island, and 6 miles to the south Brooklyn Cruise Terminal on the eastern side of Hudson Bay at the Red Hook coastline of Brooklyn. Also nearby is Cape Liberty Cruise Terminal, on the mainland coastline of the Bay, at Bayonne, New Jersey. The Manhattan Cruise Terminal is situated next to West 44th through 52nd on the west side of Manhattan Island. The cruise port has three piers, 88, 90 and 92. A terminal building sits on each pier. Terminal services include rest rooms, VIP areas, newsstands, snackbars, customs and immigration, seating areas and check-in areas. A parking area is positioned on the roof of each of the cruise terminals. Manhattan Cruise Terminal is primarily used by Holland America, Carnival and Norwegian Cruise Line ships. Positioned opposite Governors Island in Red Hook, the Brooklyn cruise terminal is a purpose-built facility by pier 12. Thanks to its previous use as a trade port, the terminal has a commercial docks feel. The terminal offers food vending machines, customs, immigration, check-in desks and restrooms. There is an adjacent parking area with a capacity of 500 cars. Brooklyn Cruise Terminal hosts Cunard and Princess Cruises ships. Cape Liberty cruise terminal is situated at the Peninsula in Upper Bay. Originally the Bayonne Navy base, the cruise terminal was began operations in 2004. The terminal offers a snackbar, customs, check-in, immigration and restrooms. The cruise terminal is more than half-a-mile from the dock, so passengers are taken by buses from the cruise terminal building to the ship. By the cruise quay is the 9/11 Tear Drop Memorial. Easily accessible car parking is located adjacent to the terminal building. Cape Liberty Cruise Terminal is used by Royal Caribbean and Celebrity Cruises ships. Manhattan Cruise Terminal: 5 quays at piers 88, 90 and 92, lengths 1040’, depth 36’. Brooklyn Cruise Terminal: 1 quay, pier 12, length 880ft, depth 34’. Bayonne Cruise Terminal: 1 cruise ship berth, 900ft length. Description The San Diego Cruise Terminal is positioned at 1140 North Harbor Drive at the B Street Pier, very close to San Diego's city center. The terminal is modern with a complete variety of facilities for passengers. The berths at San Diego cruise terminal are numbered in the following way. Quays on the north of B Street pier are one and two, on the west 3, and on the southside 4 and 5. The berths on the Broadway pier are numbered identically. On each of the B Street and Broadway piers, quays 1 and 2 are combined to handle a large cruise ship, as are four and five. Berth three is kept for smaller vessels. So the cruise port has the ability to dock four cruise ships at the same time. The Port of San Diego is building a new cruise ship terminal on Broadway Pier, due to open in 2010. Cruise ships dock at Port Vell. The port has become a tourist attraction by itself with a large Maremàgnum shopping mall with a fun IMAX theater, and Europe's largest aquarium. Port Vell connects to Las Ramblas, the main Barcelona avenue packed with eateries and street entertainment that leads right into the heart of the city. Las Ramblas is also known by the singular, La Rambla. There are 8 terminals at the Barcelona port, split into 3 quays. Cruise Terminals A, B, C and D are situated at the Adossat Quay and are furthest away from the city center. Terminal D also has the name Palacruceros. Shuttle buses make the short trip from the cruise terminals to the start of Las Ramblas. There are 2 terminals at the World Trade Center or WTC pier which are called North, and South. The East berth gives an overflow facility. From these it is an easy walk to Las Ramblas. Near to the WTC terminal. This ferry terminal is sometimes utilized for cruise ships. Each terrminal possesses a taxi rank. The Port of Bridgetown, correct name the Deep Water Harbour, was built in the 1960s a mile to the north of Bridgetown.The Port manages all of Barbados's bulk ships, plus many cruiseships. In 2002 the main approach channel was dredged to allow bigger ships to use the facility. Since the dredging project the port has experienced a strong increase in container and cruiseliner volumes. The Bridgetown Port comprises of four docks giving 1531 metres in length, and can handle up to 5 larger size cruiseships.. The breakwater (522m long), the sugar berth (307m long), berths 2,3 and 4 (total length 550m) plus the Esso Jetty (244 meters).. The Esso facility is used when the other piers are full. Port Canaveral has six cruise terminals, though only 3 are in continual use for multi-day cruises. They are terminals 5, 8 and 10 which are located on the north western shore of the port. Terminal 2 hosts a gambling cruise ship. Cruise terminals 3 and 4 are not utilized often. Cruise terminals 5, 8 and 10 are on the north east or A side, by Charles M Rowland Drive. These more modern cruise terminal buildings possess larger quays with the ability to berth the largest cruise ships, and all 3 can cope with 3000 or more passengers. Cruise Terminal 5 is an attractive 2 story triangular shaped complex, with a thirty foot tall hall filled with verdant greenery and cascading waterfalls. Embarking cruisers are processed on the top floor, debarking cruisers on the bottom. Cruise Terminal 8 was constructed for Disney Cruise Line, and is an appealing modern terminal with an impressive 80 foot high glass entrance lobby. Cruise Terminal 10 offers an efficient passenger embarking/debarking system, with completely automatic baggage processing. Quay lengths are as follows, terminal 5 970ft, terminal 8 1000ft, terminal 10 1100ft. Each terminal building provides the necessary facilities like restrooms, cab rank, ATMs, pay phones, vending machines and check-in desks. A big parking area for the use of passengers is situated next to each terminal building. Cruise terminal buildings 2, 3 and 4 are on the B or south docks, next to George King Boulevard. These terminals were among Port Canaveral's first facilities for the cruise lines, and each has a capacity of around 1800 people. A single jetty 2150 ft long is shared by the 3 terminals giving the capacity to berth two large or three medium-length ships. Beside each terminal there’s a parking area.